Swinging on the Golden Gate. 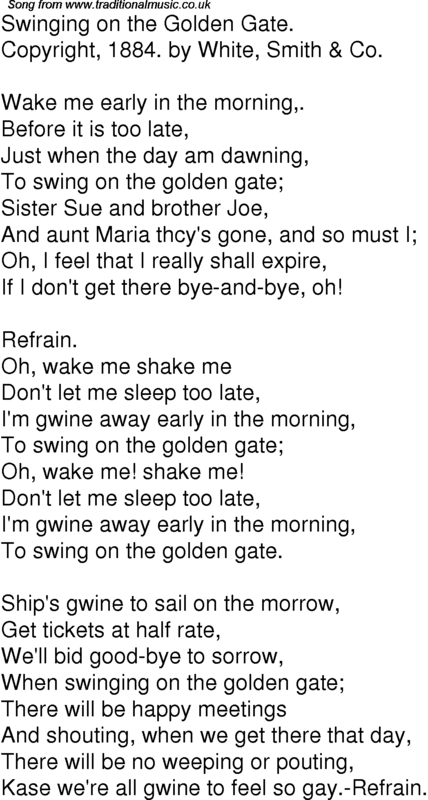 Copyright, 1884. by White, Smith & Co.
Wake me early in the morning,. If I don't get there bye-and-bye, oh! Oh, wake me! shake me! To swing on the golden gate. Kase we're all gwine to feel so gay.-Refrain.